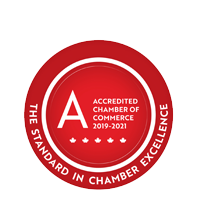 Green Mail - April 2, 2019 - Business Directory - St. Thomas & District Chamber of Commerce - ON, ON ? April brings a lot of activity at the Chamber! Today we're announcing an Evening with Vic Fedeli. Our Minister of Finance will join our own M.P.P. Jeff Yurek for a remarks and a Q&A session on April 23. Tonight's Info Session for the Treasures of Morocco tour is now full, as well our 45th Member's Golf Day is also full! Click here for details and how you can still participate.